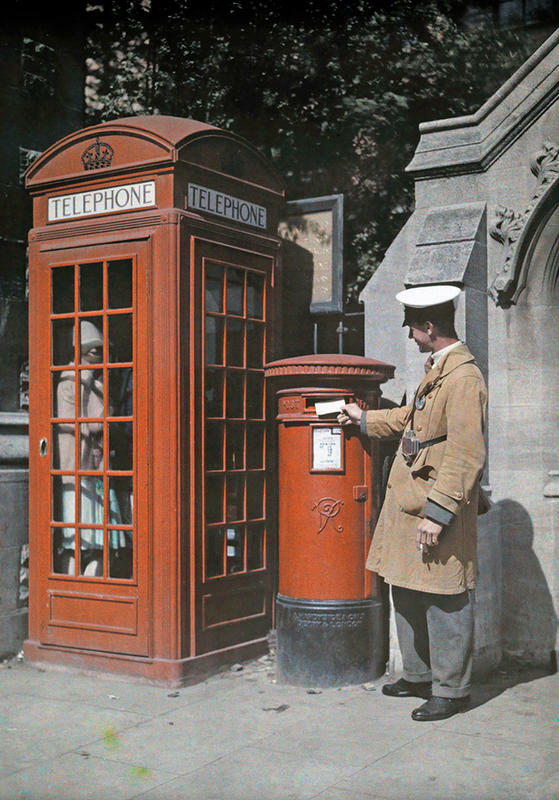 In the late 1920s and early 1930s, photographer Clifton R. Adams was commissioned by National Geographic to record the everyday life of the people of England. 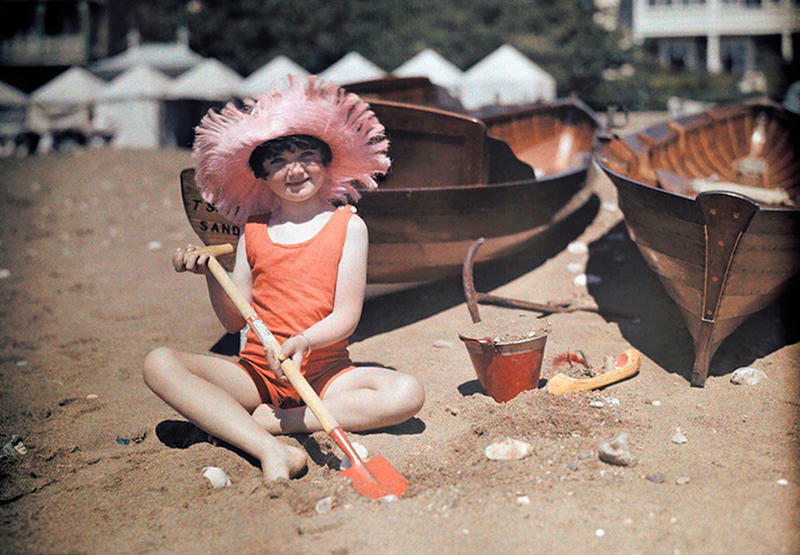 Adams was able to capture the moments in color using the Autochrome process. The authochrome technique was the most popular color photographic process at the time. It’s core ingredient? Potatoes. 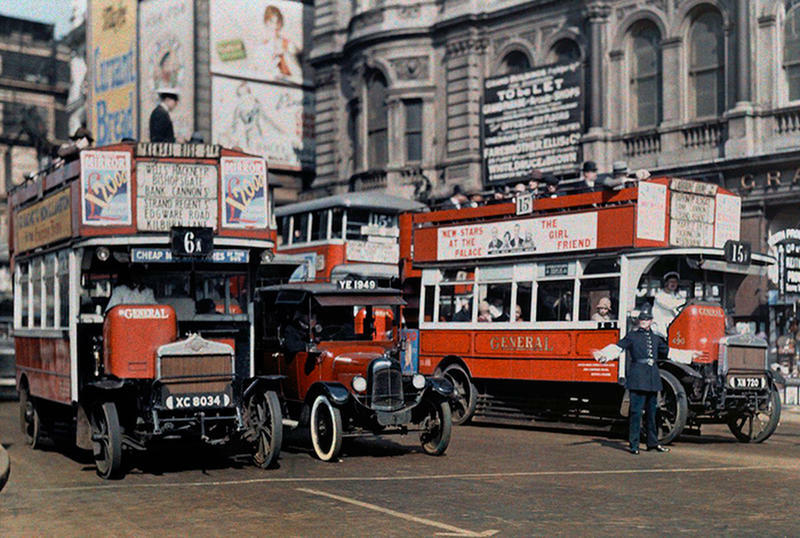 A policeman directing traffic in the intersection of Trafalgar Square, London. 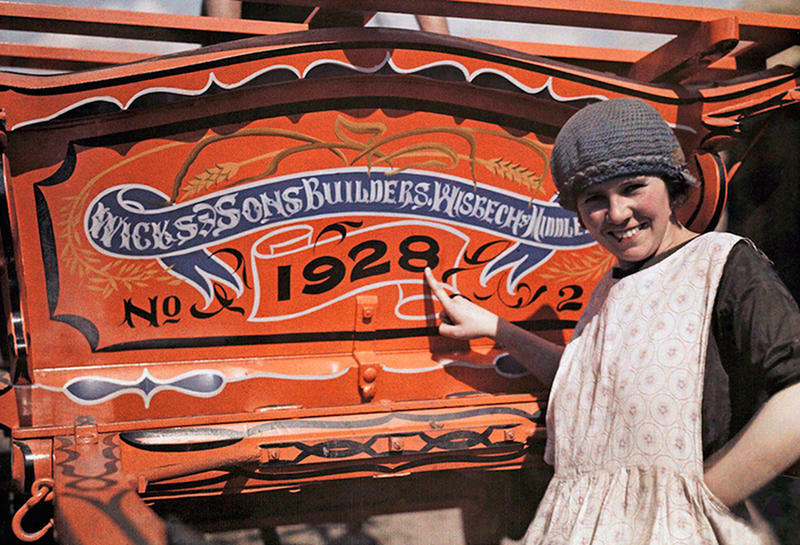 An English woman pointing pridefully to her farm cart, in Cambridgeshire, England. 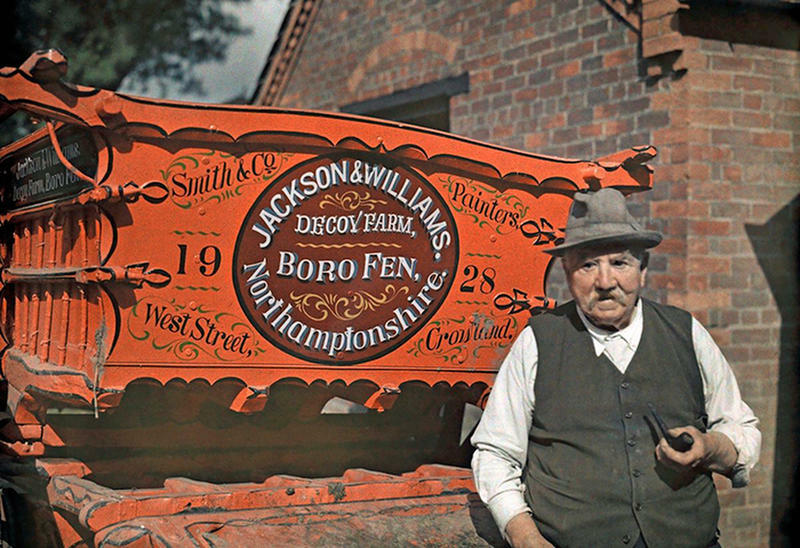 Wicks of Wisbech constructed horse-drawn caravans used by Romany families traveling throughout Britain. An informal portrait of a farmer and his cart, in Crowland, Lincolnshire. Decoy Farm is now the site of a recycling centre and a housing estate. 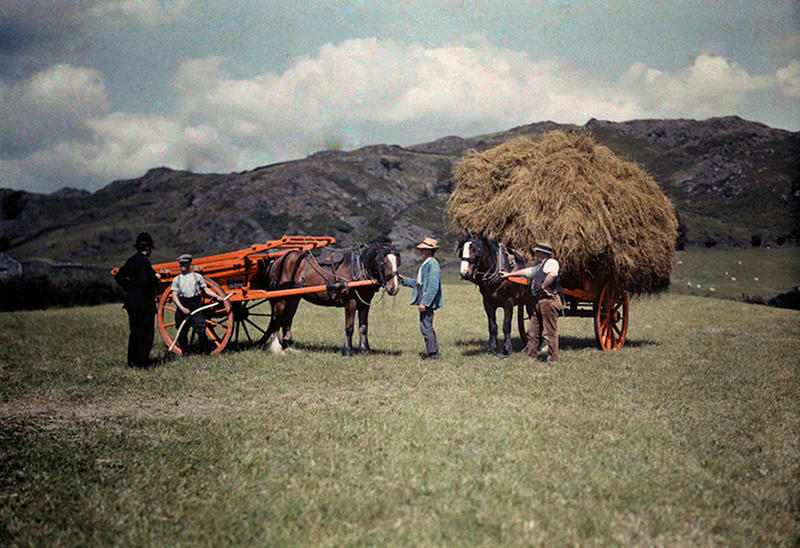 A police constable passes the day with farmers gathering hay, in Lancashire. 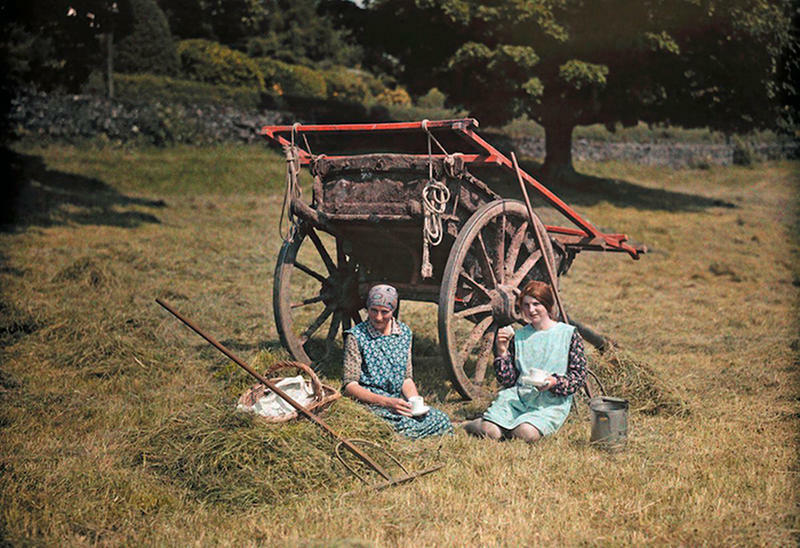 Two women resting for lunch in a Lancashire hayfield. A young girl playing in the sand at Sandown, Isle of Wight. 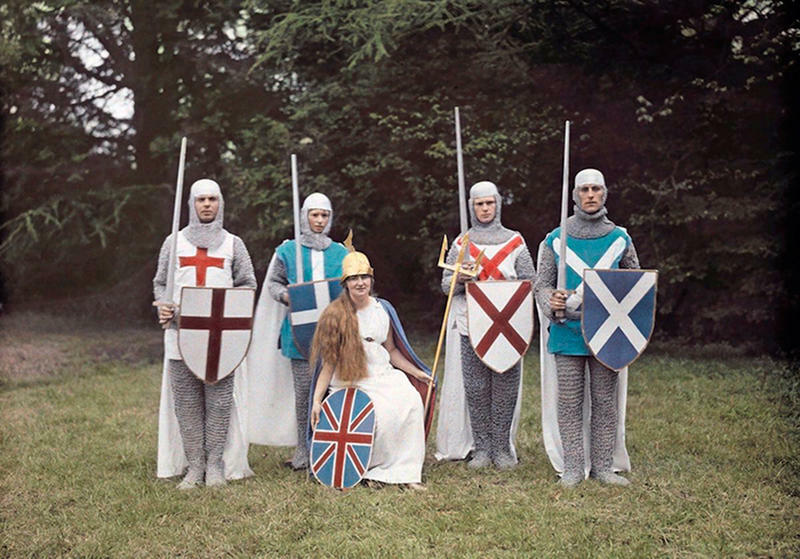 Actors dress for a pageant as Britannia and her knights. 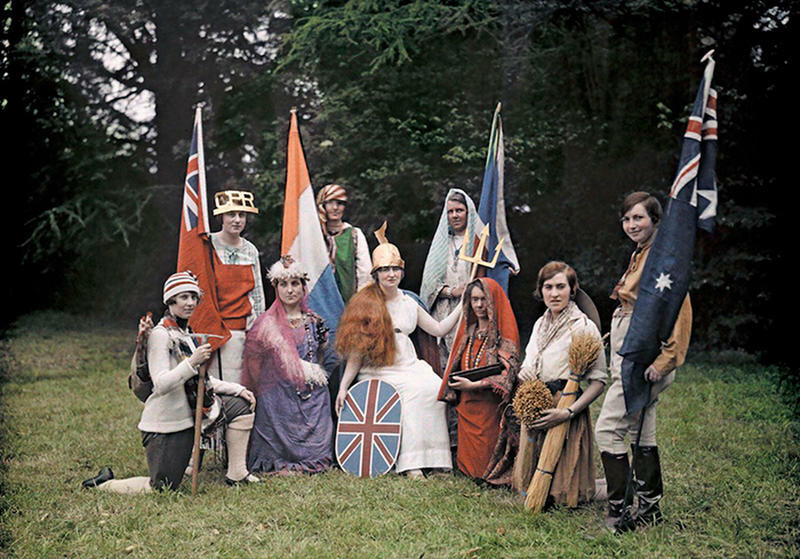 The characters of Britannia and her colonies and dependencies, in Southampton, Hampshire. 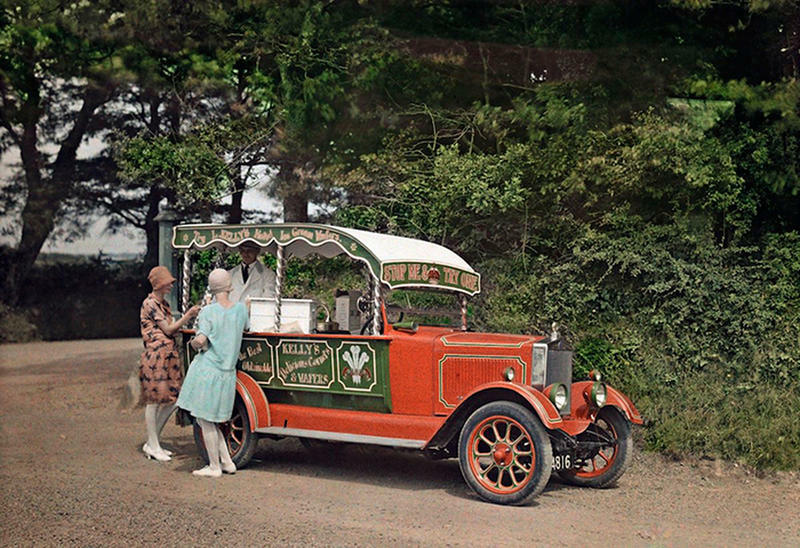 Two women buying ice cream from a vendor out of his converted car, in Cornwall. Kelly's ice cream is still in production today. 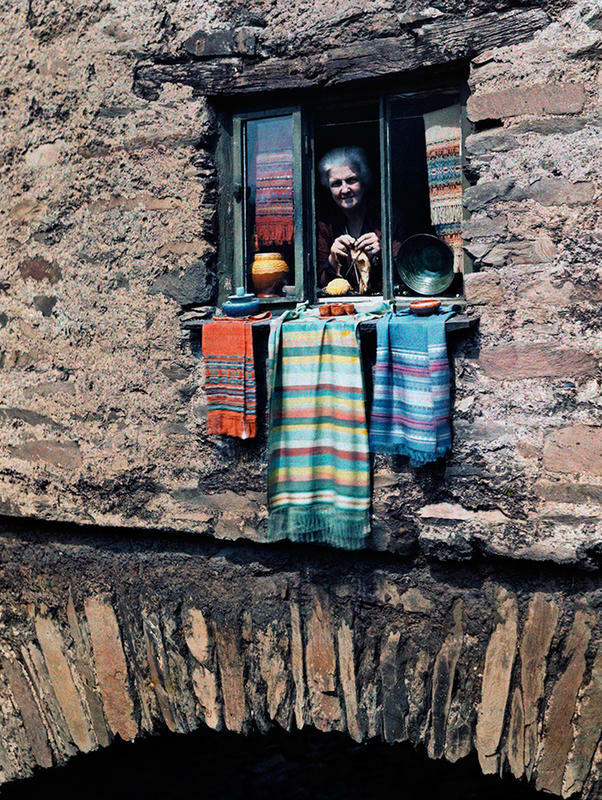 A woman sticking her head out of her bridge house window, in Ambleside, Lake District, Cumbria, England. 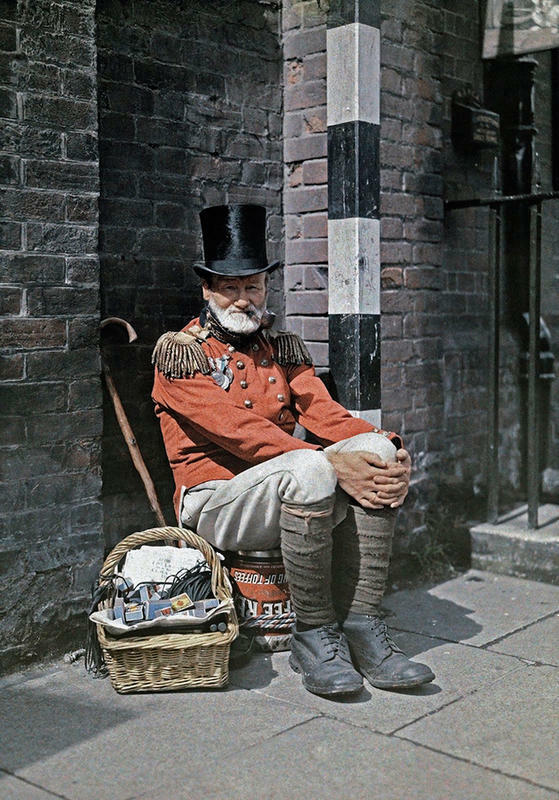 A war veteran selling matches on the street, in Canterbury, Kent. 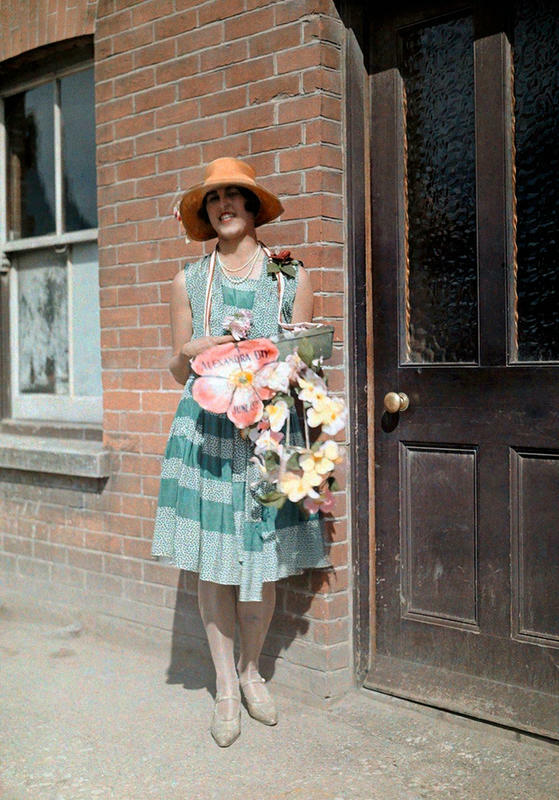 A young girl selling artificial flowers for charity on Alexandra Day, in Kent. 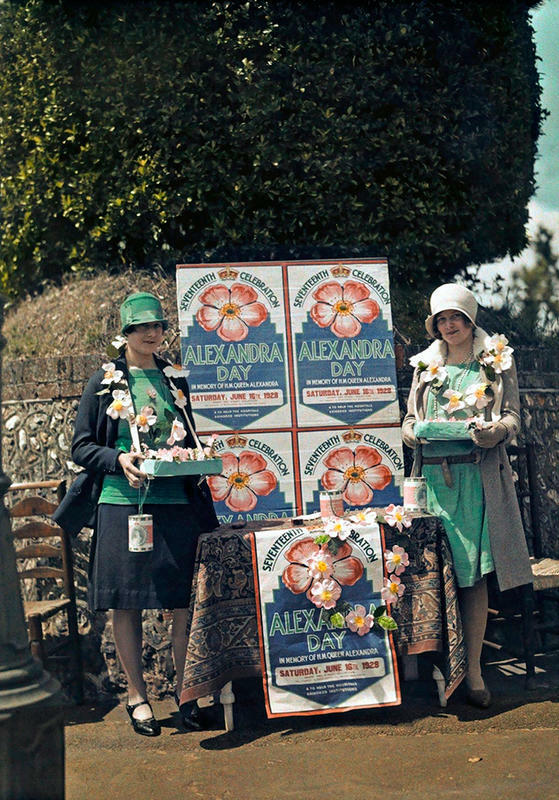 Women selling Queen Alexandra roses for charity, in Seaford, East Sussex. 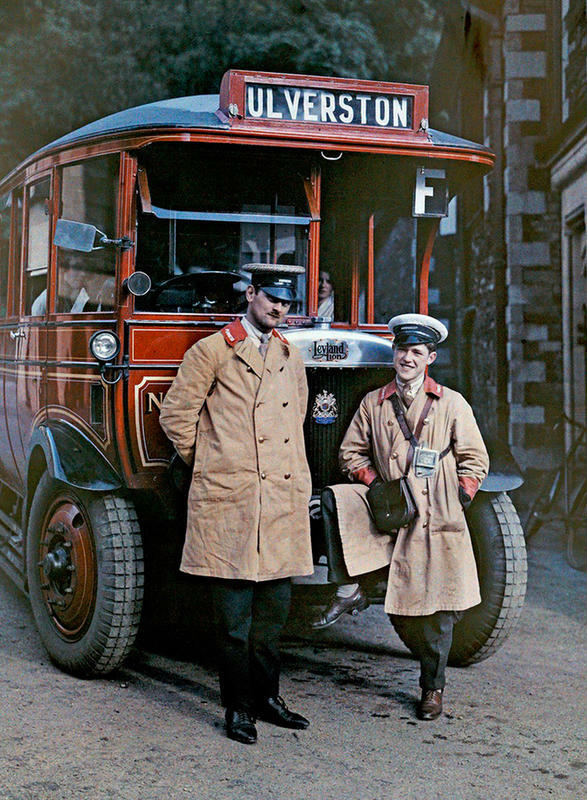 Two bus drivers standing in front of a tour bus in Ulverston, Cumbria. The bustling corner of High street and Cornhill in Oxford. 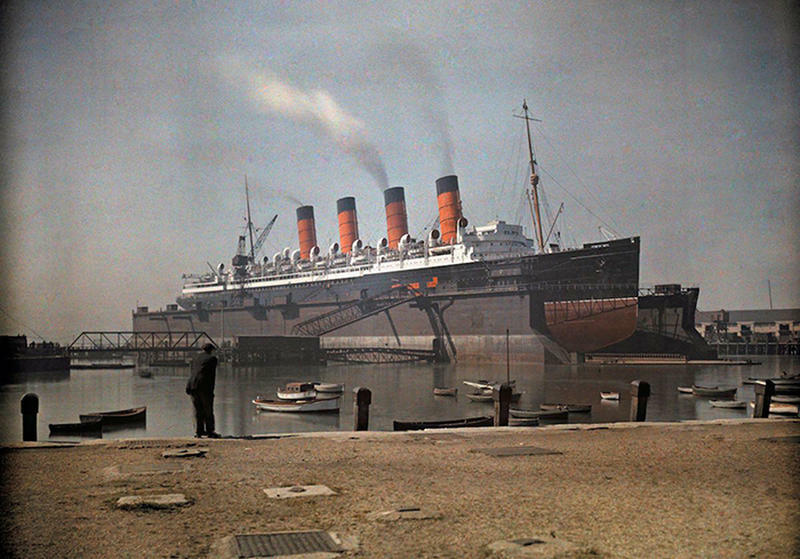 A view of the Cunard SS "Mauretania" at dock, in Southampton, Hampshire. 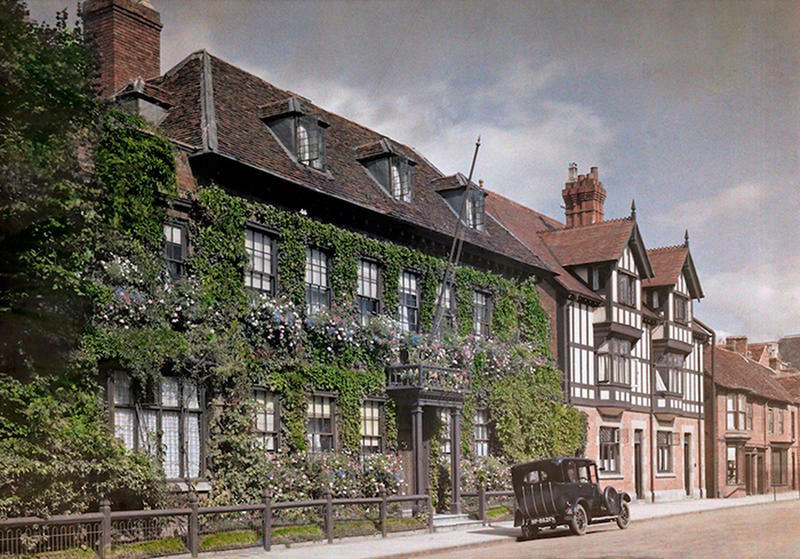 A view of a vine-covered house on a Stratford-upon-Avon street, in Warwickshire. 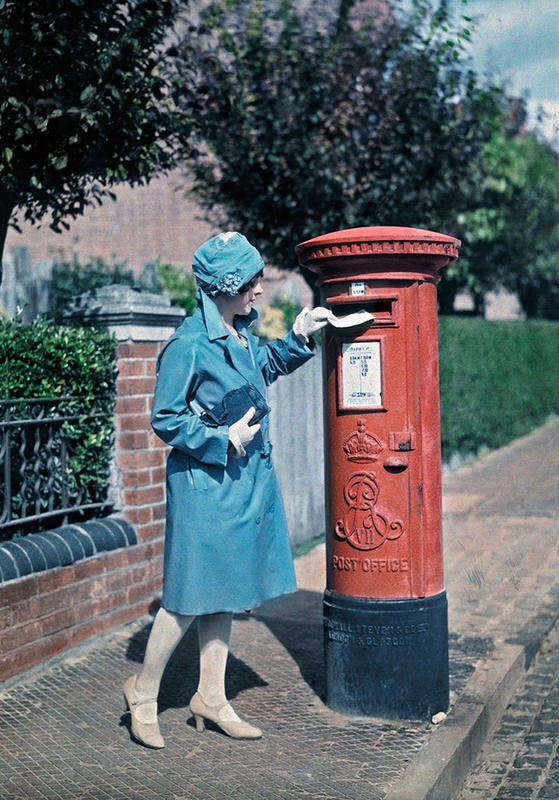 A young woman mailing a letter at the pillar box, in Oxford. 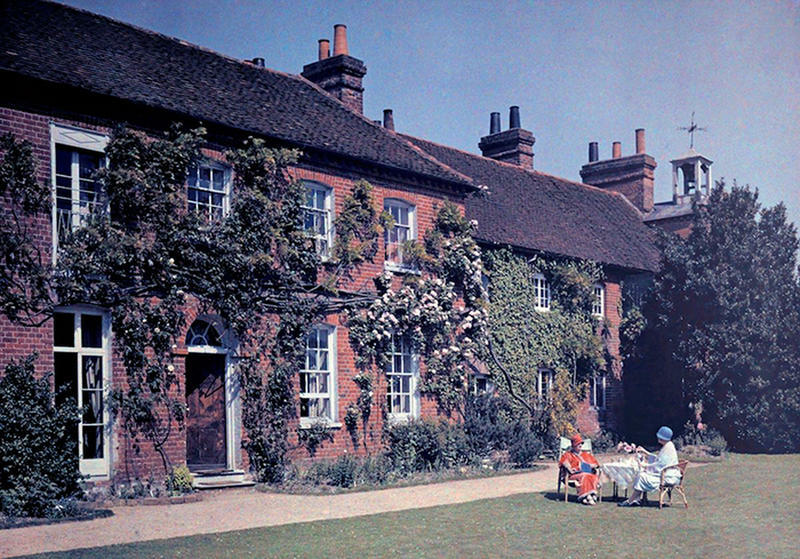 Women have tea in front of the Clock House, originally a hospice, in Buckinghamshire. 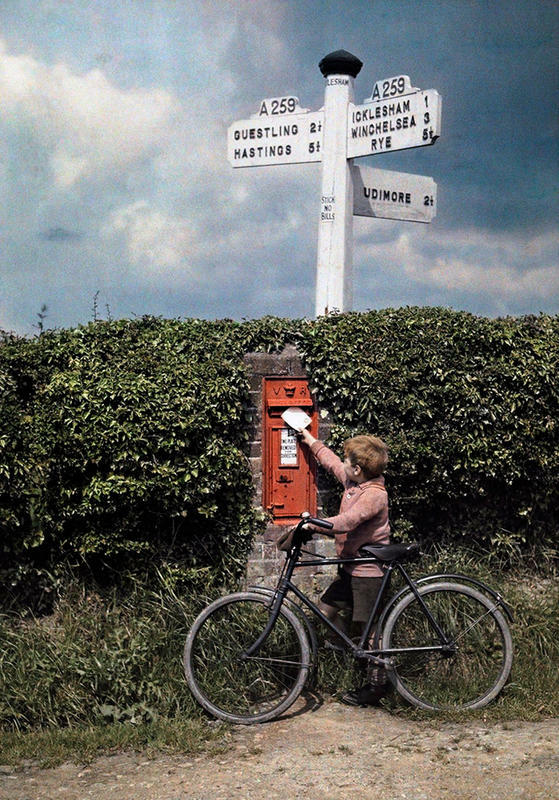 A little boy mailing a letter in the hedgerow, in Sussex. 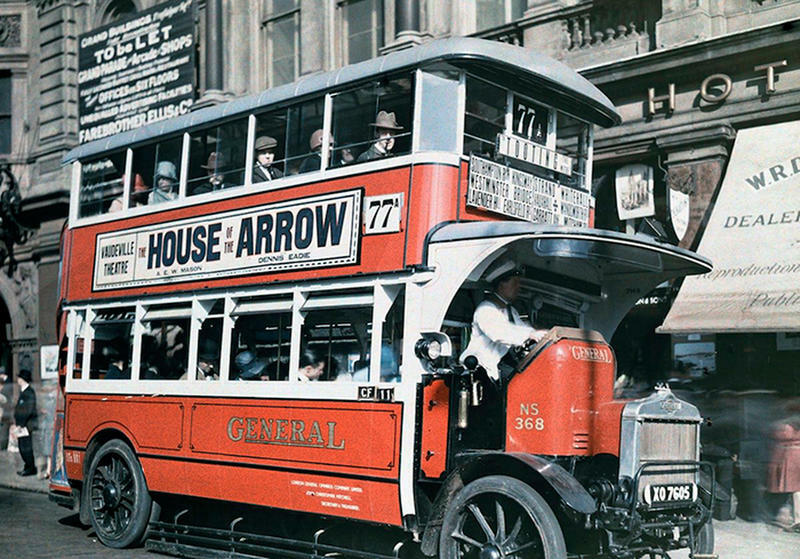 A London double-decker bus stops to allow people aboard.